Throughout history, gold has been recognized for its luxurious and beautifying properties. In ancient Chinese medicine gold was a key to youth, as queens used a gold massage roller on their face every day. These gold facials were also used in ancient Indian culture and are said to firm the skin, give it a glow and reduce wrinkles. Under the action of gold a higher amount of blood is brought in the area, speeding up cellular processes and activating regeneration. Moreover, gold action is closely connected with the electrons present in the cells that are sensitive to electric charges; these ions will become active under the influence of it and recreate broken cellular connections. That way the appearance of fine lines and wrinkles is diminished with each treatment. In terms of benefits within the deep cellular levels, gold is well reputed for restoring the lost elasticity properties of the tissues. 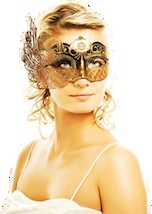 Gold slows down collagen depletion and the breakdown of elastin to prevent sagging skin. It stimulates cellular growth of the basal layer to regenrate healthy, firm skin cells and provide a tightening effect. 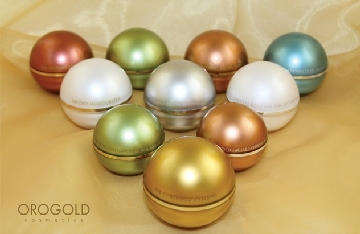 The gold reduces the appearance of sun damage and age spots. 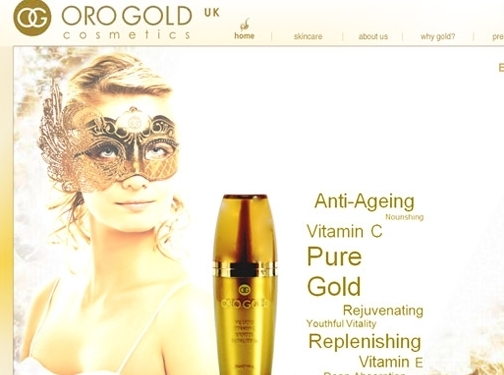 Since 1929 gold has been successfully used to treat rheumatoid arthritis by reducing inflammation. Gold's anti-inflammatory properties also decrease skin inflammation, thereby slowing down melanin secretion and reducing age spots. The gold mineral is well known for its anti-aging qualities and thought to have numerous healing benefits that have been used for centuries by the oriental cultures. It is good to know that this is a solution for all skin and wrinkles types. It also can be used as a preventative treatment in order to maintain a healthy, young, and radiant looking skin.